The nose is a summery fruitbomb, opening with vanilla-infused red fruits on Demerara sugar. Which red fruits? strawberries and raspberries, successfuly bringing the warm feeling of summer back on this cold and dreich December day. The fruit garden in the glass must be in close proximity to a vineyard – there are notes of grape skin and sweet grapes as well as a hint of oak and just a trace of spices paired with a note of thick, old balsamico di Modena. The palate is surprisingly soft and mellow, well-textured and mouth-coating with notes of red fruits (strawberries, raspberries, dried cherries and red grapes) on vanilla-infused fruit sugar with a dash of honey. Just a hint of oak appears in the background. The short-ish finish has a slight alcoholic tingle upon swallowing with an immediate fruity (red fruits, again) and fruit-sweetness combination sliding down the throat. When it’s in the belly, it’s over, there’s just a slight malty aftertaste. What do you need to do when you’ve got ex-bourbon matured Scotch which needs a bit of a push? 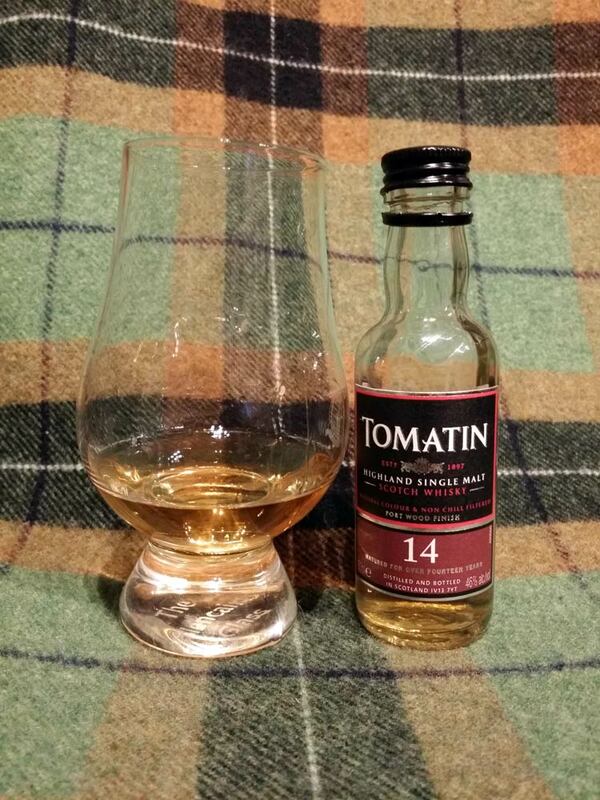 Stick it in a wine cask for a couple of months, which is just what Tomatin did here. The time (weeks? months?) 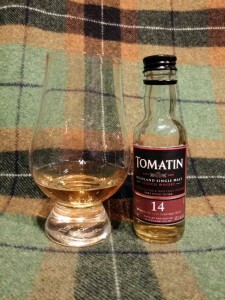 in ex-Port casks added an additional layer of depth, sweetness and red fruits, resulting in a very pleasing, still light-ish and dangerously quaffable summery dram.